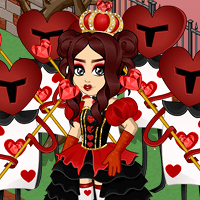 Find out who "Her Majesty" really is! 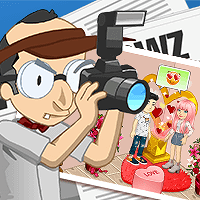 Something fishy is going on... And Woozworld's #1 journalist will get to the bottom of it. This is the unofficial, unauthorized, untold story about the biggest feud going on in HollyWooz between Camilla Cooper and Zoey Zellers. WoozWeekly: Max Back To His Old Ways?! Is Max reverting back to 2014? Will Jenny's heart be broken? 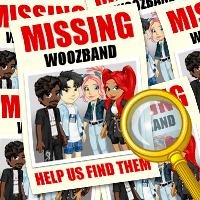 Find out from Woozworld's MOST-TRUSTED journalistic source! Get the REAL scoop here! Sources say Max is planning Jenny's biggest birthday ever... Get the details here! Woozworld's fave couple TAKES THE PLUNGE! We weren't expecting a SECRET wedding! I got a hold of wedding guests and got the latest info from JAX's life. It's happening, Woozens! JAX are engaged and we have the latest gossip from, what will be, the most extravagant wedding in Woozworld history! We talk with the wedding planner and more! First they are together and NOW this? Woozens... you will NEVER believe what Max and Jenny are doing now! We get the scoop from their inner circle and other sources. WoozWeekly EXCLUSIVE! We have the latest news on the Jenny and Max saga and you won't BELIEVE the information we found out! This information will SHOCK you, head. to. toe.